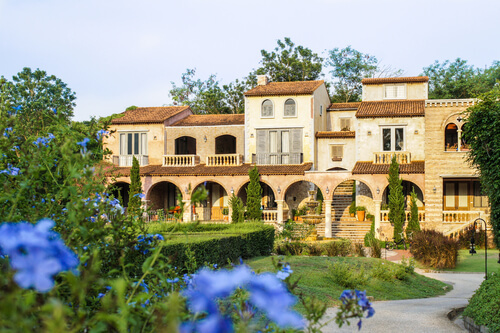 Search all the latest Tuscan-style homes for sale in Austin, Texas! Are you looking for that perfect home with large dramatic rooms, open dining areas, covered porches and more? At Berkshire Hathaway HomeService, we can help you find the perfect Tuscan-style homes for sale that matches your exact search criteria. From home builders to market trends, we have the information to make your home search a simple streamline process. Find the picturesque Italian landscape right in Austin with our Tuscan homes for sale. See the Tuscan inspired real estate listings available on the market below or read more about the amenities of these homes. 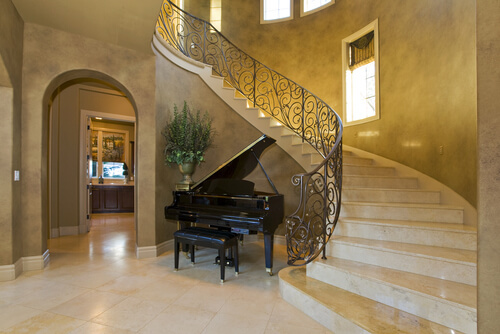 Tuscan-style homes for sale in Austin are never short on drama or elegance. These are large homes with distinct features that attract home buyers for a number of reasons. Tuscan homes in Austin feature warm and compelling exteriors, with red clay roofs, charming balconies and earthy colored exteriors. Bring a touch of Old World charm into your home with a Tuscan-style home interior. Flooring and walls look refined, warm and gently aged. Rough plaster walls ofter soar to a rustic beamed ceiling. Natural light pours through these homes with simple and bare window treatments. Questions About Tuscan-style Homes or any Austin Real Estate? From a newly built Mediterranean-style home to stunning farmhouses that looks straight out of Tuscany, Berkshire Hathaway HomeServices can help you find what you're looking for. We're one of the top 10 brokers in the country, and we can help you explore real estate in Austin and surrounding areas. Our agents knowledge and experience in the market can help you reach all of your home buying and selling goals.